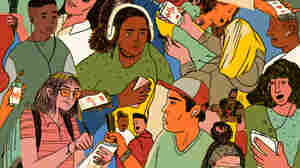 April 6, 2019  The first-ever NPR Student Podcast challenge has closed, with nearly 6,000 entries from all 50 states. As you might expect, students these days have a lot to say. March 23, 2019  There are lots of legal ways that wealthy students get into America's top schools. March 15, 2019  Two-thirds of students in Washington, D.C., can't read and write at grade level when they start high school. One program helps teens improve — by giving them the tools to teach younger kids. March 14, 2019  "Stories like this are why we continue to see backlash to disability rights laws," one expert said. 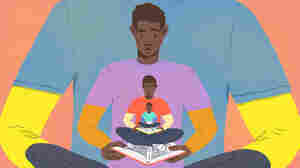 March 13, 2019  Many schools rely on mentoring programs to help younger students. 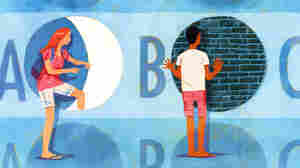 But one program is turning that idea on its head — by helping older students become better readers by teaching younger kids. March 2, 2019  A new report highlights the lack of school choice options for American Indian and Alaska Native students. Also this week in education news, why white school districts have so much more money. February 28, 2019  The proposed tax credit would go toward donations to private school scholarships and other school choice initiatives. Critics say such programs funnel money and students away from public schools. 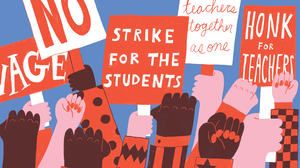 February 26, 2019  According to a new report, predominantly white school districts receive $23 billion more than districts that serve mostly students of color in the U.S.
February 22, 2019  Across the country, teachers are striking again. First there was Los Angeles, then Denver and West Virginia. 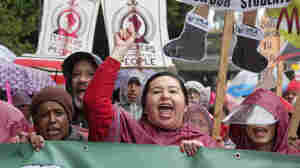 Now Oakland, Calif., teachers are on the picket lines. 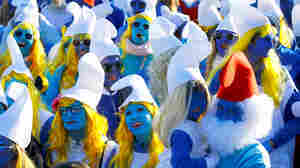 February 17, 2019  Almost 3,000 people painted their bodies blue and gathered in Germany in hopes of setting a world record on Saturday. February 17, 2019  Researchers say this number could be much higher, and that Syrian President Bashar Assad's regime carried out 98 percent of them, dropping chlorine gas, sarin and sulfur mustard gas on civilians. February 9, 2019  Also this week, Sen. Lamar Alexander proposed a new system for keeping colleges accountable and simplifying the application for federal student aid. January 22, 2019  After six days out of the classroom, union members voted yes on a proposed contract. 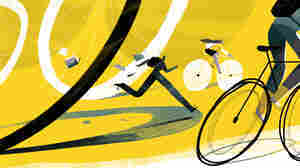 Teachers were back in schools Wednesday. 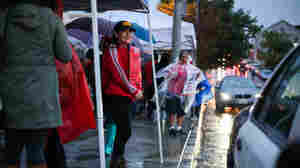 January 14, 2019  Educators and their supporters gathered outside of schools Monday, then converged near Los Angeles City Hall in a sea of umbrellas, ponchos and signs. LA last saw a teacher strike nearly 30 years ago.